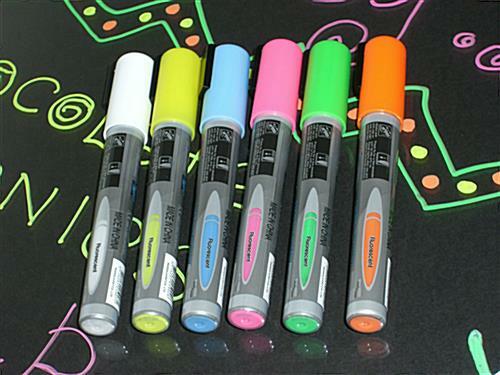 This neon marker is a wet-erase (not dry-erase) which means you need to dampen or moisten a cloth to maintain off the cork board. 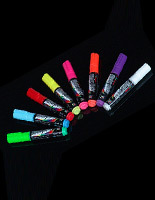 Our company offers tested this wet-erase marker, and believe it to be high caliber with regards to leaving miniscule residual marking on your cork boards (after wet-erasing) but contrarily having a good lastingness relative to preventing the public from openly smudging art drawings. 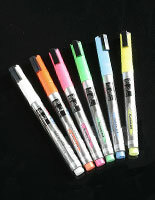 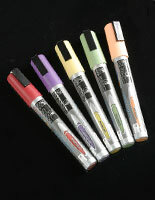 This wet-erase, neon marker should be utilized on non-porous surfaces like glass, metal, and hard plastics like acrylic. 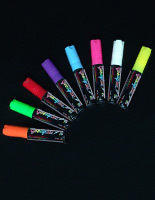 This neon marker is highly effective with its glowing fluorescent colors. 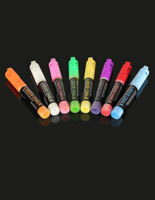 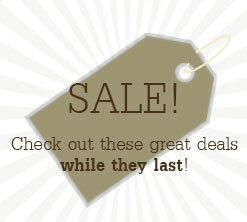 This wet-erase neon marker far exceeds the use of traditional chalks for cork boards and announcement boards. 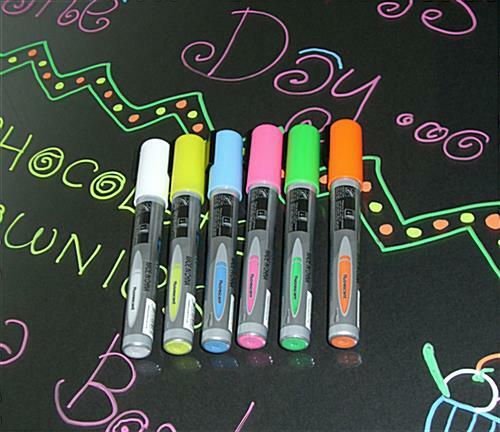 We tested fluorescent neon markers, wet erase styles from around the world and discovered this water based chalk wet-erase marker that produces an even flow, good fluidity, and bright neon coloration. 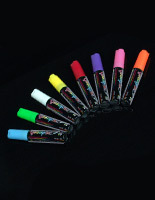 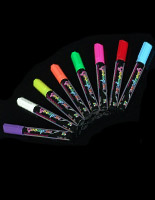 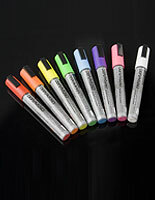 This neon marker comes in a package of 6 bright fluorescent colors (Blue, Green, Yellow, Orange, Pink, White). 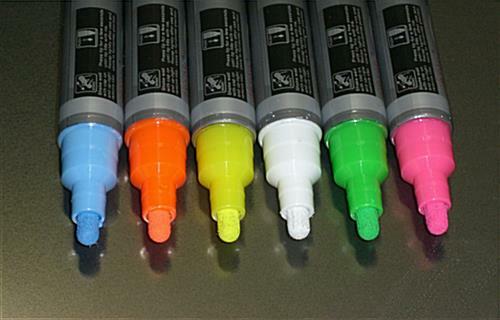 The bright fluorescent color renders the display appearance even more appealing when utilized on an illuminated light board or light box (see related products to right). 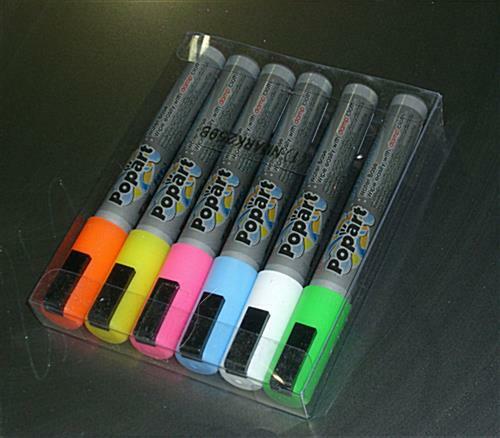 If you use this marker to write on a black lighted cork board or one of our Illuminated Light boxes, it will make the artwork glow with brilliant coloration.